This documentary was made to mark the centenary of New Zealand women winning the right to vote, on 19 September 1893. It traces the history of Aotearoa’s world-leading suffrage movement, and interviews contemporary women in politics. They chart how far things have come, and reflect on the enduring double standards that women still face. 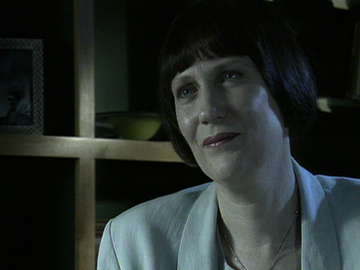 Interviewees include Helen Clark (then leader of the Labour Party), Jenny Shipley, Dame Cath Tizard, Wellington Mayor Fran Wilde and visiting President of Ireland, Mary Robinson, plus mothers and high school students. 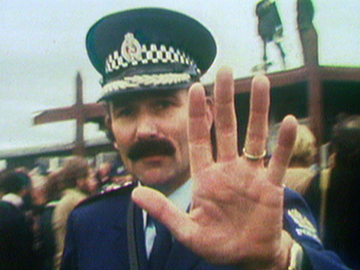 Wellington’s Today Tonight was one of four regional news shows launched by TVNZ in 1980. Over the years its hosts included Roger Gascoigne, Mark Leishman and Mike Bodnar. The show covered the local news from the pre-Wellywood, pre-’Absolutely Positively’ era: from restaurateur Remiro Bresolin’s Venetian mural, and a Philip Rush midwinter swim to work (across the harbour); to show stalwart Bas Tubert doing an offbeat Lady and the Tramp number for the Botanic Gardens tulip festival, and Beehive whimsy when David Lange (PM) meets David Lange (farmer).